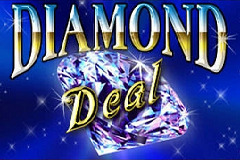 As Marilyn Monroe once sang, ‘Diamonds are a girl’s best friend’, and thanks to the Diamond Deal pokie from Microgaming, they could be the best friend of players who match them up across the payline of this classic 3-reel game. The Diamond symbol has some huge jackpot prizes in store, but there’s still plenty of wins to be had as the other classically-designed icons land favourably. This is the sort of game that people will either love or completely ignore, with what appears to be a very simple format which rewards them with prizes for the right combinations, but it has a couple of little extras in there to lift it above the standard 3-reel game. It’s all laid out in exactly the way players would expect this sort of pokie to be, with a payout table dominating the right side of the game, a big logo and the reels above it, taking up the other side. The control panel along the bottom doesn’t hold much in the way of surprises either, with a fixed 1.00 coin value and the option to play 1, 2 or 3 coins for a maximum wager of 3.00 per spin. That’s a pretty limited range which is is likely to deter those on small budgets and those who like to play with bigger bankrolls, but’s that’s just the way it is, and there’s not much I can do about it. Still, the graphics are the usual high standard fare that we have come to expect from Microgaming, and like all of their games, it’s completely fair and reliable, so even if the wagers are small, at least winnings will on average come to players at the declared ratio. The payout schedule is the next bit to study, as it details how many coins will be won for each combination that stops across the line. No prizes for guessing what the symbols are, as they are as traditional as the rest of the game, starting with cherries that are worth 2, 4 or 6 coins at 1, 2 or 3 coin bets when a couple of them land on the line, while a full row of cherries is worth 4, 8 or 12 coins. Bars come next, with any combinations of them stopping in the middle of all reels being worth 5, 10 or 15 coins, and the values go up with single, double and eventually triple bars that are worth 50, 100 or 150 coins, again depending on whether 1, 2 or 3 coins are activated. The richest regular symbol is the ‘7’ that carries a value of 100, 200 or 300 coins, and then we meet the Diamond that’s the star of this particular show. Should it land across the payline on all 3 reels, anyone playing with a single coin will be in for a win of 500x their bet, while playing 2 coins will, quite predictably, equal a 1000 coin payout. However, if all 3 coins are in play, rather than the 1500x prize which would be expected, it jumps to 3000x, which makes it the jackpot win. 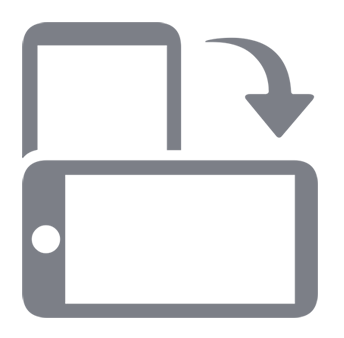 The Diamonds’ got another useful function as well, substituting for all others if it will help to complete a winning line, while a little graphic of diamond next to the paytable will unlock a bonus feature. Provided that all coins are in play, each time the image of a jewellery box appears on the line a section of the diamond will fill up, and once all 4 are complete, the bonus round begins. It’s a pretty simple game where players click on one of the boxes to reveal a prize, but it’s a guaranteed win, so collecting boxes is just a nice treat on top of the base game, and makes Diamond Deal a little bit more engaging than standard. A Diamond in the Rough, Or Just Rough? Don’t be put off by the simple appearance of Diamond Deal, as it’s a pretty good pokie that has a bit of anticipation built in as the segments of the diamond fill up. Crisp graphics, nice animations and trusted software make even the base game an enjoyable experience for those who like this older-style. By featuring the classic symbols that have become so familiar over the years, players will quickly get to grips with what rewards come with each combination, while the Diamond wild should work to earn even more prize-winning spins. If there’s any criticism, it’s to do with the limited bet range, while wild multipliers, where players win several times the base payout when the wild completes a line, would have been a welcome addition, but that’s a minor point in what’s otherwise a good all-rounder.